Capt. 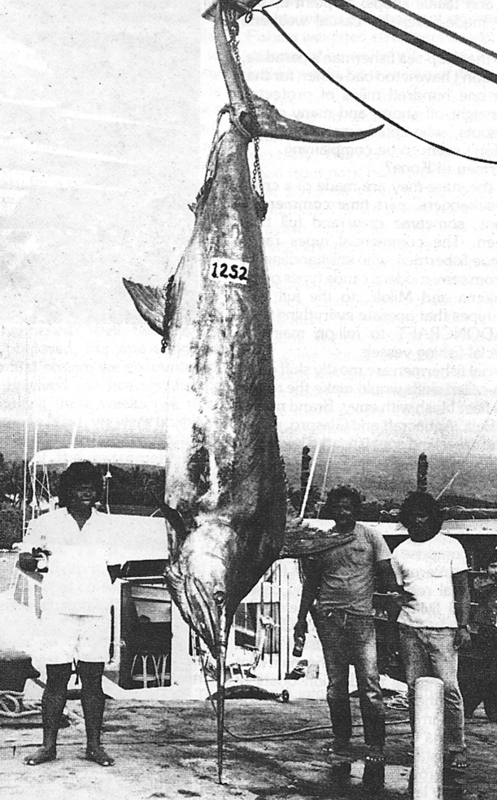 Joe Marks Sr. was piloting his 24-foot Radon TO THE MAX about 2 miles south of Kailua Kona when a monster marlin hooked up. William and Nathan teamed up on the fish that was hooked to a reel loaded with 180-lb test line and 51/2 hours later they brought the enormous fish to gaff.